Saniatary butterfly valves thread/flange DIN is a series of Hygienic Butterfly Valves, its meaning is a side thread,the other side flange,in the butterfly valves. The operation way have manual, pneumatic and electric actuator. the standard with 3A/DIN/IDF/ISO/SMS.the connection end with thread, clamp, weld, flange. Food Grade Butterfly Valves with thread/ flange uses standard electronic polishing, smooth surface to ensure cleanliness, no media accumulation area, no potential pollution. Hygienic butterfly valve can be quickly disassembled and assembled, so that the valve can be opened and maintained quickly and easily, and the downtime of the process can be shortened. We have other Hygienic valves, such as Hygienic Safety Valves, Hygienic Sample Valves, Hygienic check valve,etc. They are could be fabricated as per client's requirement and drawing. 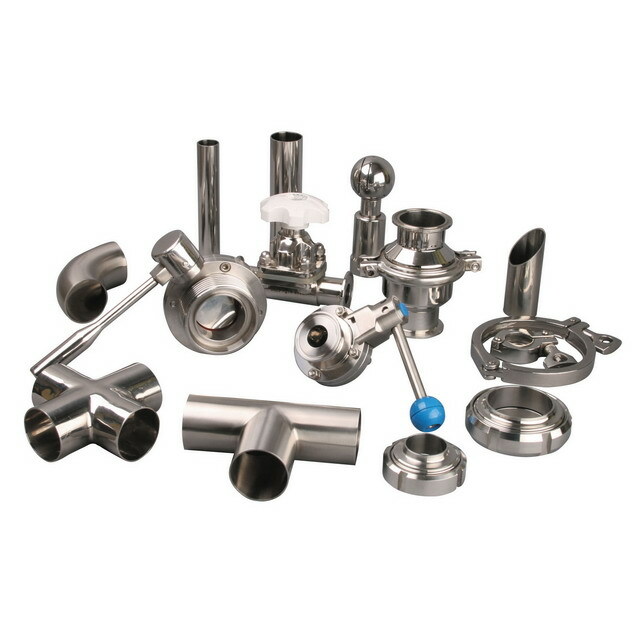 -We are one of most competitive manufacturers/exporters in China on sanitary products, Sanitary Fittings, Sanitary Valves, sanitary union, sanitary clamp, sanitary filter, sanitary pipes, etc, contact us directly for more items and better prices! Looking for ideal Hygienic Butterfly Valves Thread/flange Manufacturer & supplier ? We have a wide selection at great prices to help you get creative. All the Thread/flange Butterfly Valves are quality guaranteed. We are China Origin Factory of Flange/thread Butterfly Valves. If you have any question, please feel free to contact us.